New organisation meets personal success story: Dr. Bernard Tusiime, who joined DSW in 2006, is now the CEO of Action 4 Health Uganda. A4HU has taken over the operations of DSW Uganda, and remains affiliated to DSW in Germany. We asked Bernard three questions about his journey, lessons learned, and future dreams. You joined DSW Uganda 12 years ago. What were your first thoughts when you started? Tell us about your key milestones since then? 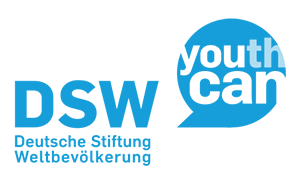 I came to DSW as a youth expert to manage a network of youth clubs belonging to the Y2Y (youth-to-youth) initiative. I felt respect for that big task, as DSW Uganda was already supporting 350 youth clubs by then. As I very much enjoyed my work, I rose from project officer, to senior projects coordinator and program manager until 2011, when I became international program manager for the women and girls empowerment program (WOGE) in Eastern Africa. What can I say? Working at DSW has been truly inspiring, providing me a great carrier path for self-growth, networking and development socially, but also academically: I just completed my PHD in International Development and I proudly deserve to be called Dr Tusiime Bernard (PHD). Remember the day you were selected to become the new director for Action 4 Health Uganda: how did you feel? How did your colleagues react? I felt honoured and a bit overwhelmed as this was a huge opportunity based on trust, but also a pretty huge challenge. I was not quite sure where to get off on the right foot with all the required steps for a smooth transition. For my colleagues, it was also quite a change, as this new position meant supervising colleagues who used to be my former peers. But I addressed the shift without creating resentment from the team, always focusing on being fair and consistent. Investing time to fully understand my team is essential. I constantly ask them what they like about their job, the biggest challenges they face, and ideas they have for steering up Action 4 Health. I have created an open-door policy to make sure all staff knows when and how they can reach out to me. Now that Action 4 Health is born, what are your next goals? How will A4HU change people’s lives in Uganda? Action 4 Health is a dream come true. We recently celebrated a colourful launch with 300 attendees from Europe and Africa, including representatives from governments, civil society, and beneficiaries. Our strategic goals are in line with national goals of supporting health and socio-economic transformation for young people. Uganda has one of the most youthful populations in the world—just over half of its population consists of children under age 15. The high child-dependency ratio is a barrier to social transformation and development in my country. Action 4 Health Uganda will strive to empower young people by supporting youth empowerment centres (YECs) and youth clubs, where they receive training in: leadership, group management, life skills and sexuality education, entrepreneurship and business development. We will further strengthen the capacity of health workers to provide youth-friendly integrated SRHR and family planning services. Finally, we are excited to inaugurate our brand new land cruiser! During our launch, DSW’s Renate Bähr handed me the keys for the new youth truck, a donation from Wertgarantie and DSW. With the truck, we can bring information and trainings to young people even in hard-to-reach areas. And believe me, we will drive it as much as possible. Ready to drive: Bernard proudly holds the keys for the new youth track, a donation from DSW and insurance company Wertgarantie.